Dope Tech Presents: Black Tech Week’s VC In Residence 2017. VC in Residence fosters investment in entrepreneurs of color promotes, and supports sustainable economic development in the communities where we work. Through this program, startups such as mine were able to get one-one-advice around their startups needs. The Venture Capitalist in residence for this cohort was Marlon Nichols of Cross Culture Ventures I personally struggled with the legalize aspect of building a startup. In addition to the mentorship, participants in the program attended Fireside chats that gave you a front row seat at the thoughts of founders who are minorities in the space. 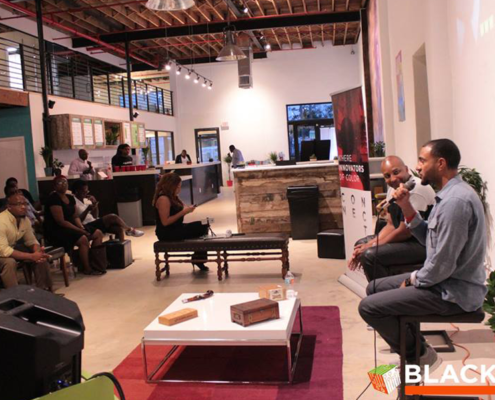 Major Gems dropped during our #VCIRmiami Fireside Chat with Marlon Nichols from #crossculturevc and Diishan Imira Founder of #mayvennhair Thank you Diishan for joining us in Miami this week and thank you to the #knightfdn for making it possible. Blacktech Week is a week long cultural celebration that highlights cutting-edge technologies and entrepreneurial innovation. My first attendance to this event was in 2016 and was very new to the tech scene. This year in February, the focus was a weekend dedicated to funding. The great part of this weekend was being able to just soak up “game” and not focus on pitching my startup. Shngli is a platform dedicated to connecting accountants to business owners in the south Florida market. We have connected over 100 relationships and plan on completing more as the year goes by. The company has been featured in the Toyota Startup and Go Competition, Miami Dade College Startup Challenge and One Spark.